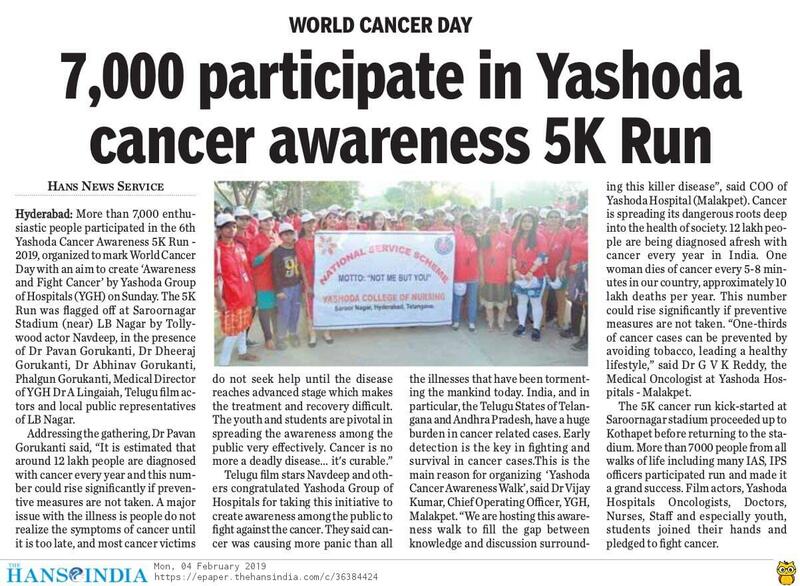 Yashoda Hospitals continues strong with the annual initiative ‘Spread awareness and fight cancer’ on the occasion of World Cancer Day 2019 observed on Feb 4 every year. 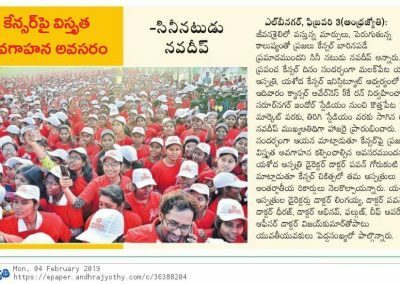 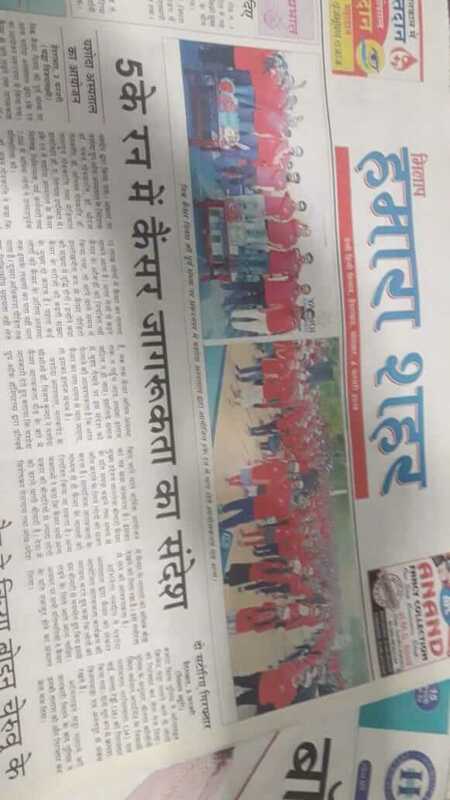 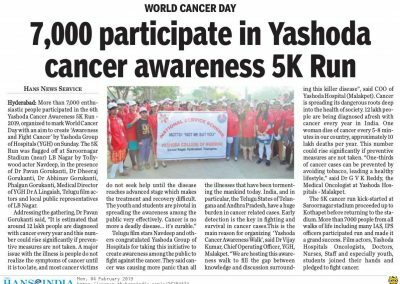 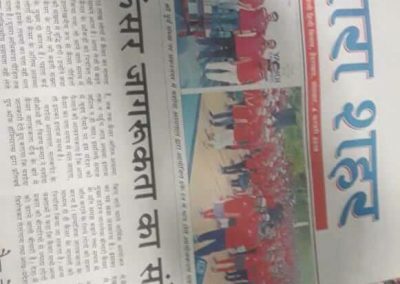 With a consistent goal of spreading the awareness against cancer, Yashoda Hospitals organized Cancer 5K run at Saroornagar indoor stadium on Feb 3, Sunday. 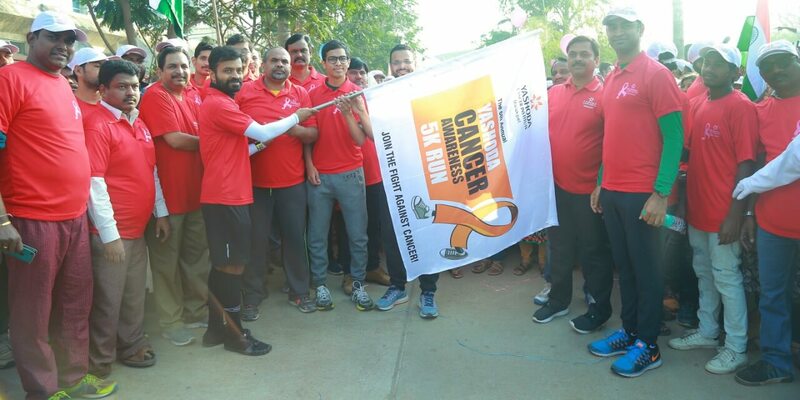 This year the event witnessed bike rally along with the yesteryear’s 5K run in an attempt to encourage people from every walk of life to be a part of this initiative. 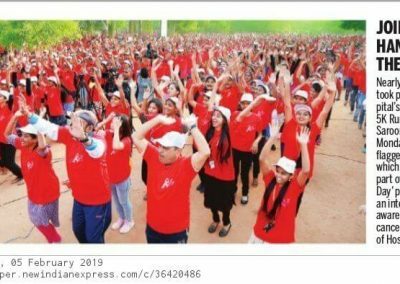 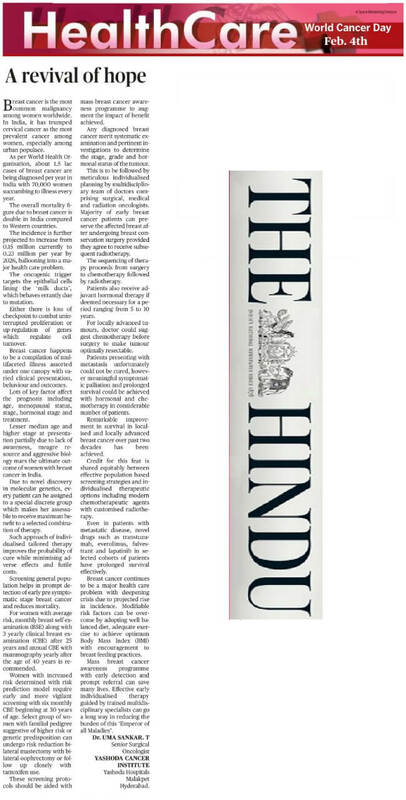 More than 7,000 health enthusiasts turned-up at Saroornagar indoor stadium on Sunday morning to take part in the run. 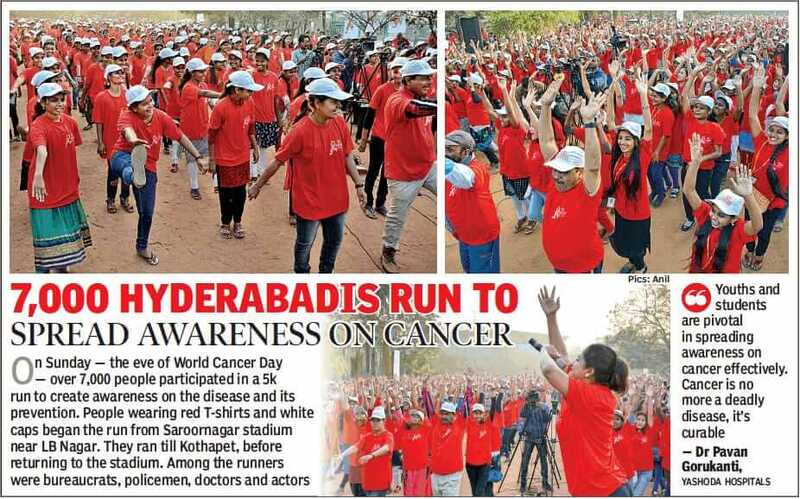 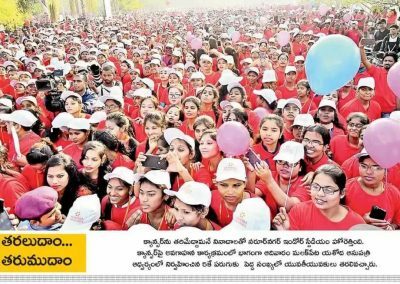 The event was a grand success with youth, educational institutions, public representatives, doctors, nurses, health care workers, members of voluntary organizations coming together to pledge against cancer. 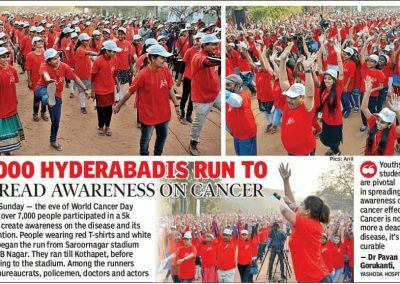 All the youngsters took it on Facebook and Instagram to spread the word with “I #Run4CancerWidYH” selfies & video posts. 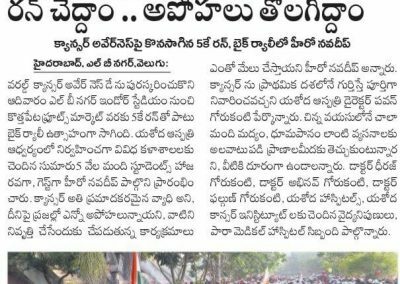 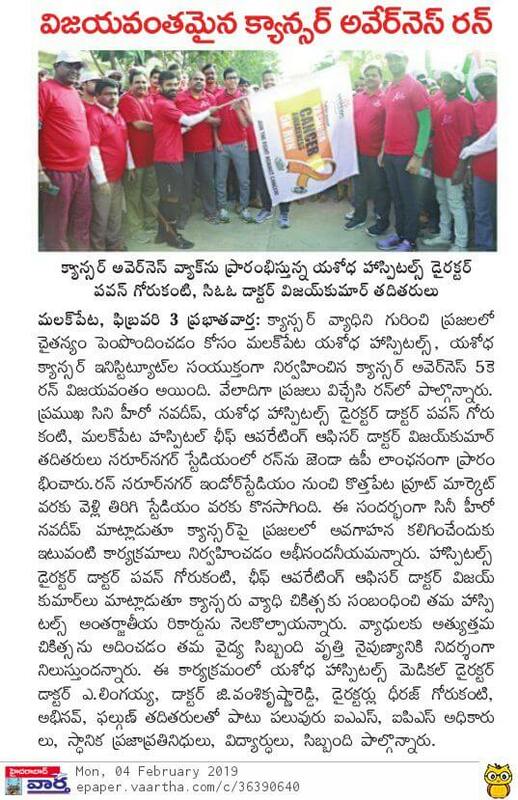 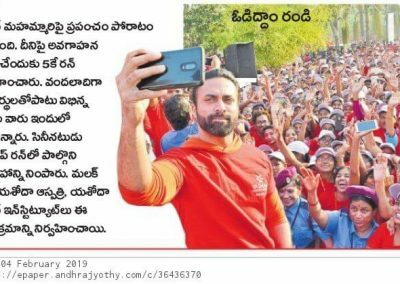 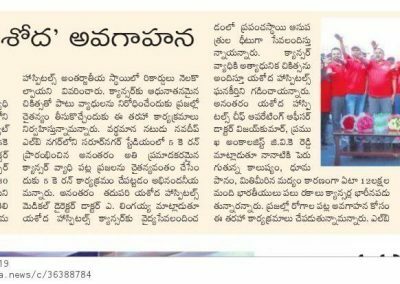 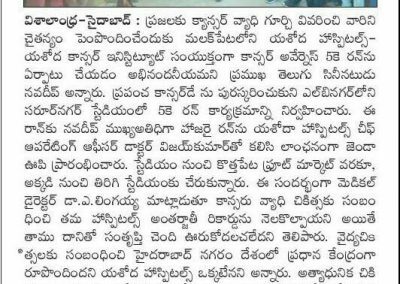 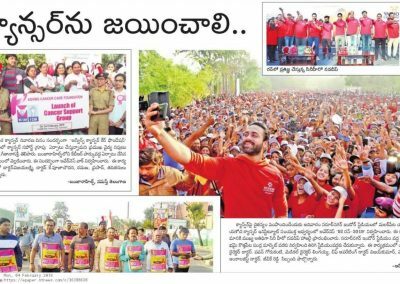 The run featured Telugu film star Navdeep, who flagged-off the bike rally and 5K run. 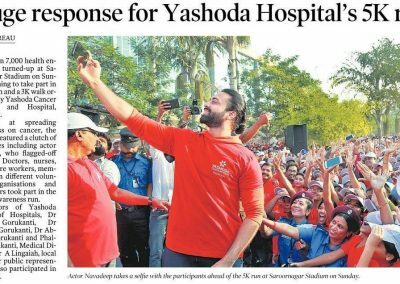 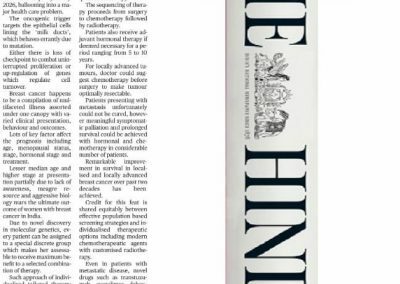 Speaking on the occasion Mr. Navdeep congratulated Yashoda Hospitals for taking this initiative to create awareness among the public to fight against deadly cancer. 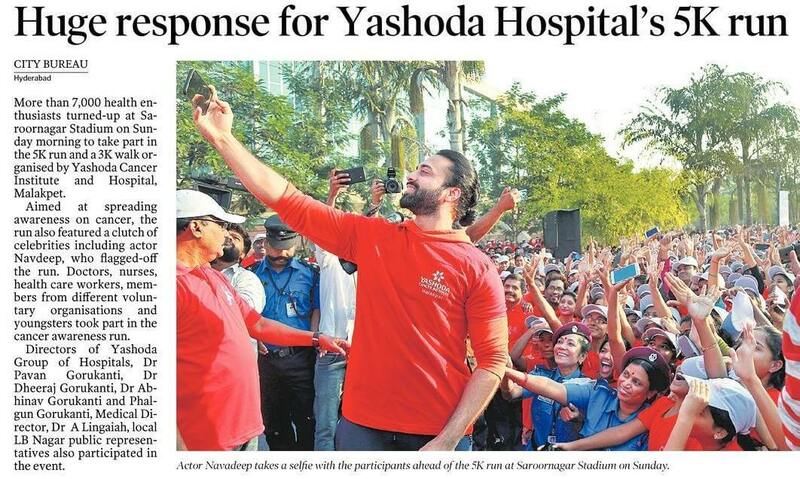 Mr. Navdeep took it a step ahead and posted his selfie on Instagram to spread the word online.